The spectre of the internet has been haunting Australian literary journals for well over a decade. But a few recent events seem to have transformed this spectral haunting into a brutal hunt. 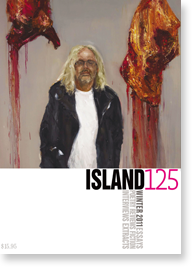 According to The Mercury newspaper, Tasmanian Premier Lara Giddings has decided to terminate funding for one of the country’s main print literary journals Island due to her belief in a ‘“trend” towards online rather than hard-copy publications’. Earlier this year saw the last print issue of another crucial Australian literary magazine HEAT, as, in the words of the magazine’s Deputy Editor Fiona Wright, the print medium or the ‘book form’ is ‘increasingly unviable’. Last but not least, there has been serious speculation about the iconic literary journal Meanjin ‘being forced’ according to Peter Craven, ‘to go online in a way that will effectively kill it’. Before concluding that the internet is about to have the same pernicious impact on literary journalism as it has had on newspapers and mainstream journalism, however, we must consider the cases in which a small print magazine has negotiated with and even benefited from the digital milieu. Overland, the journal hosting the very blog on which this post is appearing, is an example of how a print magazine can use the internet to attract new readers, new contributors and even – to the best of my understanding – new subscribers. Another example is Southerly’s innovative development of an online supplement (called the Long Paddock) which features new online-only content in concert with each new print issue’s specific theme. Such hybrid approaches have rendered the internet a medium through which literary journals may not only survive but also thrive and – in the disastrous event of losing funding – have the prospect of enjoying a (relatively cheap) virtual afterlife. The above presentation of two opposing theses has not been an attempt at even-handedness, an attempt which is, more often than not, an excuse for indecisiveness. With digital technology – as with anything else in life – one must make a decision and stand by that decision, whatever the cost. The task in this case, however, is not to simply choose between one journal’s espousal and another’s dismissal of the might of the internet. Such a choice is properly unnecessary, since a level of synthesis between these supposed opposites is already the norm. Almost all literary journals, even those with no online content (such as Westerly), have websites and online tables of contents, can be purchased online, etc. Furthermore, any purely technological consideration of the concrete modes and methods of publication in this context ignores the fact that people don’t read a small literary magazine to satisfy tangible needs, in the same way that they may have need for weather reports, obituary columns, business news and so on. An assessment of the impact of the internet on small magazines should begin – and perhaps also end – with the demands and drives that create the thing called literary journal. We must, in other words, consider why literary journals exist in the first place, before ruminating on whether their existence is aided or harmed by the internet. Such a consideration would, of course, be beyond the scope of this blog. Suffice it to say that one could see the literary journal as an elitist object possessing what Walter Benjamin has termed ‘aura’. Peter Craven’s abovementioned piece about the fate of Meanjin, for example, describes the journal as something that one may look upon with ‘a sense of wonder’, as a properly fetishistic signifier of ‘the literary and intellectual history of this nation’. As Benjamin would further have it, such an ossified function of the work of art can be disrupted through mass participation enabled by mass production and electronic means; an approach which may be seen in the conception and development of Cordite Poetry Review, a literary journal which began life as a broadsheet in 1997 before becoming an exclusively online magazine in 2001. The decision to abandon print was not made lightly. The advantages of the internet are clear: it’s cheaper, and as more and more Australians go online, the arguments for its accessibility become stronger. Print is very costly, and even with the sales and subscriptions from our dedicated readers, we have never made enough money to cover our production costs. Moving to the net will allow us to spend more money on our contributors, and to have a better chance of surviving in the long run. Visit our site and see for yourself. 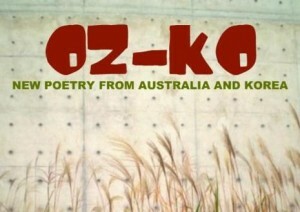 Ten years on and having recently released its 35th issue, Cordite has succeeded in not only surviving as such but also attracting ongoing financial support from the Australia Council for the Arts, publishing innumerable poems, poetry reviews, interviews, feature articles and, more recently, spoken word audio clips. This success is not necessarily a testimony to the superiority of the digital over print technology – or solely an indication of the work of Cordite’s indefatigable managing editor David Prater – but the result of the rapport between the specific attributes of an online medium and the core principles of the magazine’s founders, i.e. increasing the numbers of contributions and readers, reducing costs, etc. In other words, had this journal been created with a more exclusivist agenda, it may very well have ‘disappear[ed] into the evanescence of the internet’, as Craven has gloomily observed of what may happen to Meanjin should it too become an online publication. There may be, finally, no agreement regarding the nature of the effects of the internet on small magazines because there is no consensus regarding the raison d’être of a small magazine. Most would agree that literary journals are crucial to a vibrant literary culture, including the editors of the staunchly anti-online, anarchist print journal Unusual Work who believe ‘small magazines are the lifeblood of a great literature’; but there exists proper disagreement as to what makes a literature great in a given society. An interesting blog but it makes too simple a binary. Firstly, Ali’s suggestion that ‘print’ journals have and I like Benjamin’s ‘aura’ is too sweeping a generalization because in Australia at least, many journals have never been in pursuit of that kind of monumentalism due to lack of finance, and some, in the 60s and 70s, were deliberately feral, even anarchist. To then sweep to on-line versions as more ‘democratic’ is a little thin. In any case,his and Fiona Wright’s arguments are predicated on the assumption that state support for the magazines will mean that Cordite and Heat will continue to operate given that they don’t have any other business model? A dangeroius assumption currently, for any journal, I suspect. 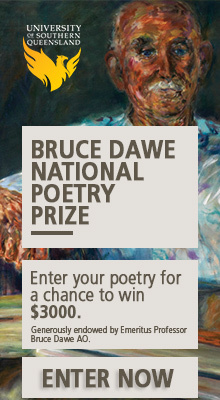 Does the turn to on-line mean that the literary arts become even more dependent on subsidies? I am starting to feel slightly ill at the prospect of relying even more on subsidies. Since you’ve brought up the notion of a business model, my question (as a veiled answer to your questions) would be: is it a natural given that a literary journal be perceived as a business? Or perhaps seeing a literary magazine as a — post-Fordist? — consumer object is as ideologically driven as, say, attempts at replicating ‘authenticity’ (the trend among some of the more recent literary magazines that present themselves as ‘beautiful’ ‘artistic’ objects, etc.) Reliance on government grants is not an ideal scenario, but neither is the commidification of the literary for the (in this case, hypothetical) consumer. So I return to my main question in the piece: why does a given literary journal exist? To enhance/expand literary culture(s)? To manufacture an ‘aura’ apropos of contemporary literature? To work as a business that generates incomes for its editors? To work in tandem with the publishing industry to promote books and authors? To perhaps even — why not? — disrupt the mainstream literary culture and promote change? Etc, etc. The internet’s suitability or otherwise for a literary journal would be assessed according to a specific journal’s editor/s’ responses to questions like these. dear Ali, yes i take your point about commodification, but no one can escape that in late capitalism because most things have fallen under its ‘aura’. The state isn’t therefore free of the values and interests of capital. The word ‘business’ sends some people in panic attacks, when I meant that the history of little mags shows that(in Australia at least) they have been produced through largely countless hours of voluntary labour, which is good in itself, but a largely middle class activity because many other people can’t afford that time. Futhermore, i think the workers should get paid, as in the broader economy- a similar issue to the appropriatation of intellectual property in cyber space. State supported anarchism is an oxymoron. I say yes to your list of questions as to a magazine’s reason for being. And there are more as well. Re, your point about ‘beautiful’ magazines, this has been a trend given the special pressures in the ‘marketplace’, yet, while leaving the question of desired monumentalism that has been evident with some magazines aside, for every deconstructive move in the means of production (and the internet is an enormous change here) there are retro moves, because I think, many people want ‘beauty’, or ‘thick’ descriptions rather than representational summaries that attempt to only replicate pace. Why can’t cultural workers and readers (I didn’t use consumers) have cake? I think the net is good for publishers that can embrace it and use creatively. Across print, music, film and other types of publishing their seems to be a lot of doom and gloom talk but I think people are becoming more and more likely to want to both consume and pay for digital products online. It’s about the content not the medium so can’t be bad can it? Thanks for the comment, Peter. I agree the net can’t be bad in itself (at least in this context), but things get tricky when politicians and arts bureaucrats decide a print magazine should be denied funding simply because it’s a print and not an online publication. But I also think you’re absolutely right about content; I feel here content should definitely play a part in a publication’s decision to embrace/reject/negotiate with the net.